Newly-crowned Emmy winner and star of broadcast TV's #1 drama This Is Us comes to Studio 8H this week for what will hopefully (God, please!) be a better show than last week's episode. I'm confident it will be, but I'm sure SNL could still find a way to screw things up. This sketch is getting a lot of attention, but I was honestly too confused by it to find it all that funny. I get that it's comedy and it doesn't necessarily have to make sense, but my confusion was just too much to get around here. 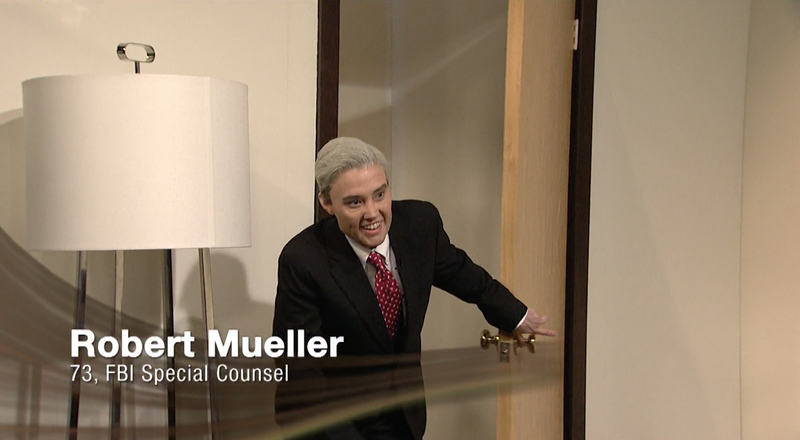 Kate McKinnon's Robert Mueller is a real hoot, though. I'm usually tough on monologues, but I actually thought this one was pretty good. There wasn't any real comedic content here, but Brown worked around that with his effortless charm and charisma (and emotion), making for an enjoyable, if not hilarious, 5 minutes. 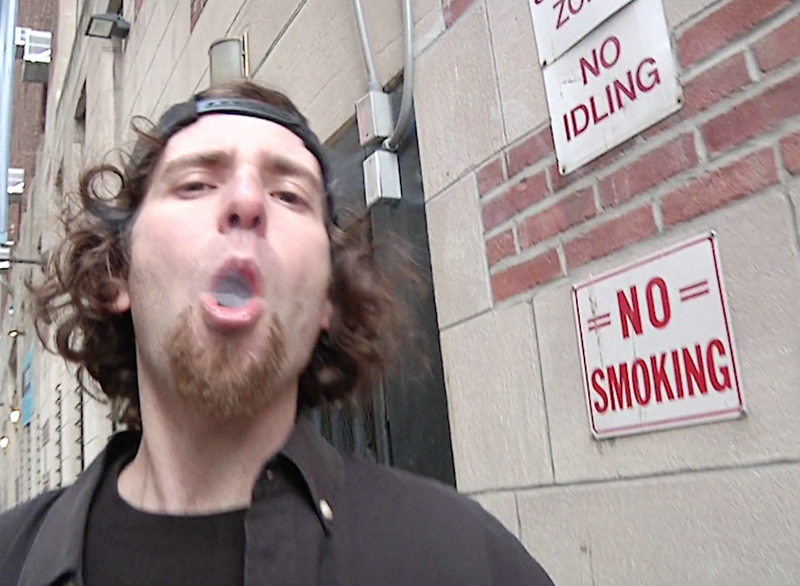 Like all of the sketches in this recurring series, this was just an excuse to show off impressions. But when the impressions are good (like here), is that really a bad thing? I don't think so, since the real purpose of this show is to entertain us and make us laugh, even if the sketches aren't all that original. As a fan of just about all of the Oscar-nominated films this year, I found this sketch incredibly satisfying and funny, particularly Kate McKinnon's second turn as Best Actress winner Frances McDormand, which was better the second time around. It was obvious coming into this episode that there would be a parody of This Is Us, but I wasn't expecting that parody to take a political turn. I'm very glad it did, though, because this is better than just about anything else they could have come up with. Kate McKinnon's Kellyanne Conway is (like always) the MVP here ("I have nothing in me! "), but Sterling K. Brown's Ben Carson managed to make it a close race. I don't know why, but I found this delightful. Maybe it was how into it Sterling K. Brown seemed, or maybe it was the fact that I also really love Shrek. Meet the parents sketches are usually hit-and-miss, and have a tendency to rely on clichés. But sometimes, they're just really weird and Shrek-centric. I feel like I've seen this sketch at least 10 times before, but that doesn't mean I disliked it. I actually found it quite interesting and funny, despite being very similar. Mikey Day was hilarious as the sasquatch's hostage, making this sketch worth everyone's while. I didn't really like this one that much, but it wasn't bad either. It was just kinda there. I didn't laugh much at it, but there were a few chuckles here and there. Kenan was the only part of this sketch that I really cared about, though his character was actually pretty funny and would have probably worked better in another setting. I didn't really care for this one. 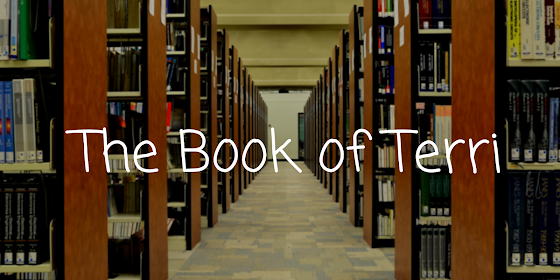 It had some okay lines, but other than that it went on for too long and had too few laughs. That makes for a very forgettable sketch, and one of the worst of the episode. Well this was a treat. 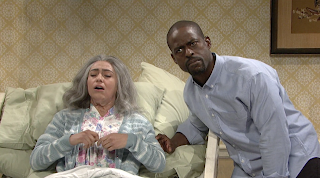 Cecily Strong's character was absolutely hilarious, and made this sketch absolutely amazing. 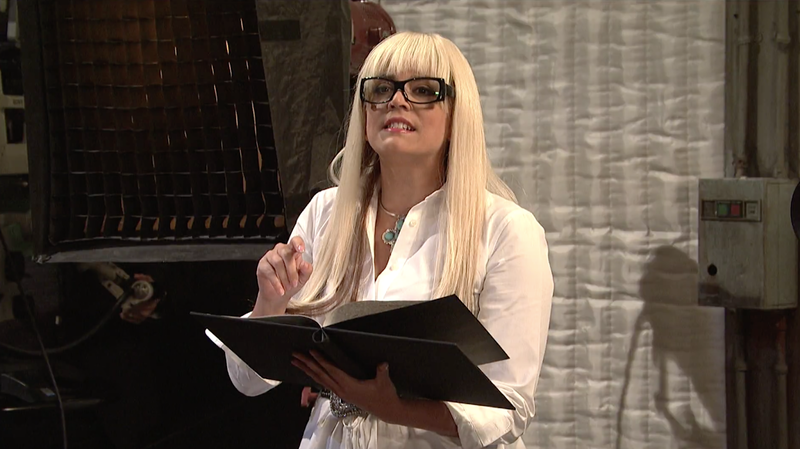 Her singing Hello was the most I've laughed at SNL is awhile, and that accent. 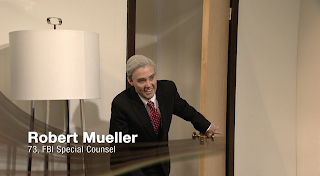 Please bring this character back, SNL! If you asked me why I thought this was so hilarious, I don't think I'd be able to tell you. All I know is that I was really into this. It's really strange, but I love strange. It even redeemed Nickelback for me a little bit! Sterling's power! I thought that this was a good episode and a huge improvement on last week's episode, but I was still a bit underwhelmed. I was expecting a top-notch episode for one of NBC's biggest stars, and it was just slightly above average. 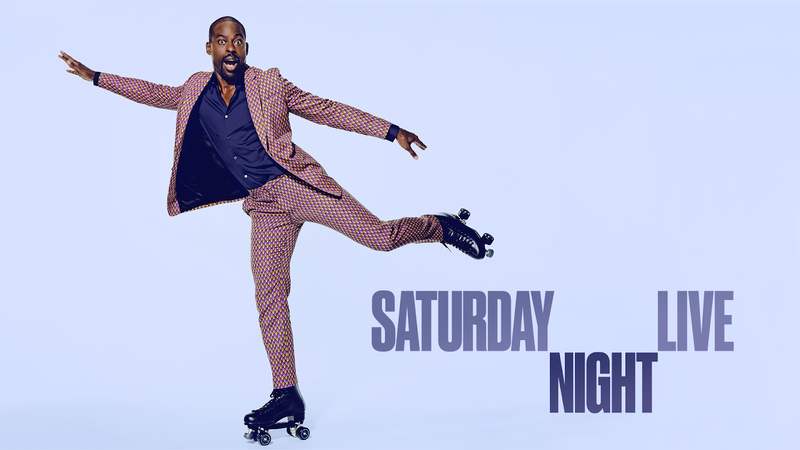 The best was was Sterling K. Brown, who was amazing all night long and was definitely one of the best hosts this season. He was down for just about anything (and seemed to enjoy it), whether it's jamming to Nickelback or trying to save his friend from a sasquatch, and that's appreciated. 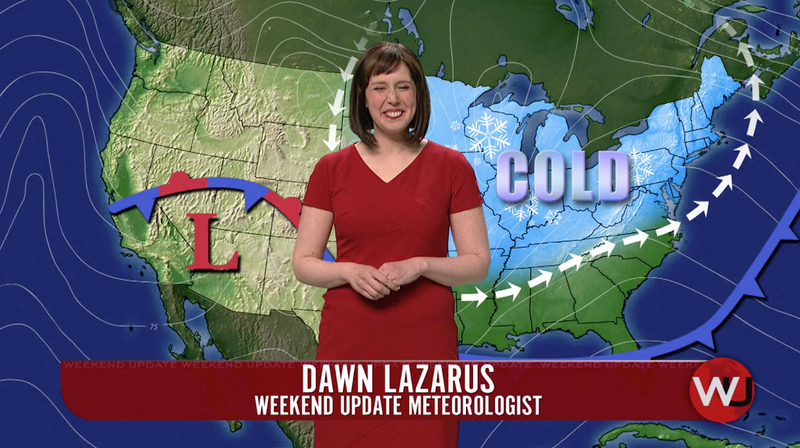 Sketch of the Night: This Is U.S.
What did you think of this week's SNL? 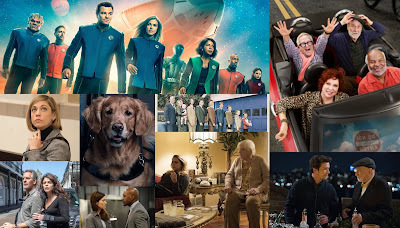 What was your favorite sketch this week? Let me know in the comments and vote in the poll below! What was the best sketch of Sterling K. Brown's SNL episode?